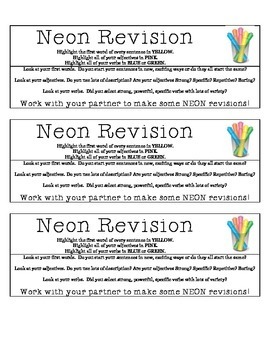 A fun way to get students to go back into their work and revise. All you need is a few highlighters (or markers). Papercut and hand out, or have students attach into their notebooks as a great reference for ways to make writing more interesting and exciting. Works well with any age.